EA has announced that SSX has been delayed until February 28. "Over the course of more than 10 years of making games I have not worked on a single project where our team did not wish, coming down the home stretch, that we could have just a bit more time. Time to do all the little things that may not be noticeable during the first hour or two playing the game, but are appreciated over the course of days, weeks, months and beyond." 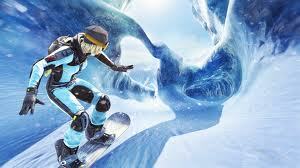 "SSX was one of the games that always took the time to do exactly that. There is a reason why Tricky and SSX3 are still among the highest rated games of all time, and it is because even playing them today they still stand the test of time. Our goal from Day 1 was to re-launch this amazing franchise with a new SSX game that could live up to that legacy."